While the government has amended the GST law a few times since its rollout, a lot of the changes in the provisions and concepts of the new indirect tax regime came about due to court rulings. 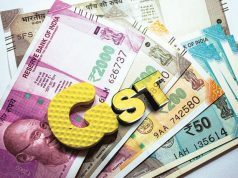 Last June, when the Goods and Services Tax (GST) was about to complete a year, former revenue secretary Hasmukh Adhia had said that 200-300 writ petitions had been filed against GST. 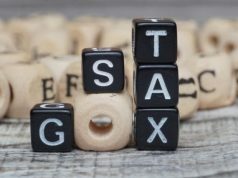 By the end of the year, over 700 cases had been filed, according to Taxmann, India’s leading publisher on Taxation and Corporate Laws. The Madras High Court held that it wasn’t entrusted with the power to issue any directions to the Government for bringing fuel under the GST net. It was only the prerogative of Central Government to act on the recommendations of GST Council. Rajashri Foods (P.) Ltd filed an application regarding the sale of one of its manufacturing units for a lump sum consideration. The firm wanted to know how the transaction would be treated. The Authority for Advance Ruling (AAR) held that the business will continue in new hands, hence such transaction would be in the nature of a going concern. As per the Central GST Act, this does not amount to supply of goods. It would be treated as ‘supply of service’ and, hence, exempt from GST. The Appellate Authority for Advance Ruling observed that the applicant, Caltech Polymers Pvt. Ltd, recovered food expenses from its employees for the canteen services it offered under the provisions of the Factories Act. Although the company had made it clear that not profit margins were involved, the AAAR ruled that the supply of food would come under the definition of ‘supply’ as per the GST Act and, hence, would be taxable. This ruling basically made food ordered on Indian Railways a bit more expensive. The Authority for Advance Ruling (AAR) held that the train is a mode of transport and cannot be termed as a restaurant, eating joint, mess or canteen, etc. 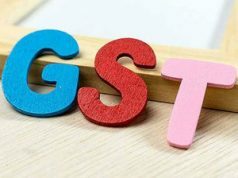 Therefore, the supply of food, bottled water and the like did not boast any element of service so GST should be charged on individual items at the applicable rates. Previously, it was charged at the 5% concessional rate. Over a 100 home buyers had filed an application against Pyramid Infratech for not passing on the Input Tax Credit (ITC) of the GST paid on construction services. The National Anti-profiteering Authority (NAA) directed the company to refund or reduce Rs 8.22 crore from the buyers’ last instalment along with 18% interest per annum to be calculated from the date of the receipt of the excess amount from each buyer. The builder has since moved Delhi High Court. Synthite Industries Ltd had filed an application for advance ruling to determine if GST is applicable on sale of goods that are shipped directly from China to the USA without entering India. The AAR held that the goods are liable to GST when imported into India. Hence, in the above case, the assessee isn’t liable to pay IGST. Kansai Nerolac Paints Ltd filed an application for Advance Ruling regarding admissibility of Krishi Kalyan Cess (KKC) as input tax credit under the GST Act. The AAR held that the ITC of KKC could not be carried forward under GST. The Maharashtra Appellate Authority for Advance Ruling (AAAR) subsequently held that cess and duty are separate levies and cannot be equated. The credit of KKC can only be utilised for payment of the same. The body held that corporate office and the units are distinct persons, so activities performed by employees of a corporate office for other units of company shall be treated as supplies as per the CGST Act. Hence, GST would be applicable even if made without consideration, the AAR ruled on an application filed by Columbia Asia Hospitals. This ruling was subsequently upheld by Karnataka’s AAAR. The Kerala High Court in November ruled that any GST mistakenly paid under one head can be adjusted under the correct head. 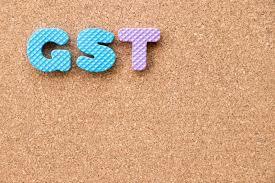 It observed that the GST Act provides for the refund of the tax paid mistakenly under one head instead of another, like ‘SGST’ instead of ‘IGST’, but the GST Refund Rules also speak of adjustment. It was further observed that where the amount of refund is completely adjusted against any outstanding demand under the Act, an order giving details of the adjustment to be made in Part A of Form GST RFD-07. The AAR held that when the rent is collected together and divided equally between respective co-owners of a jointly owned property, the small business exemption for registration under GST will be available to all the co-owners separately. The total rent from all the properties will not be a factor in this case.